The carport structure consists of seven vertical frames with six longitudinal members to which the sheet metal roof panels attach. The next step of the process was to start assembling the roof peaks. 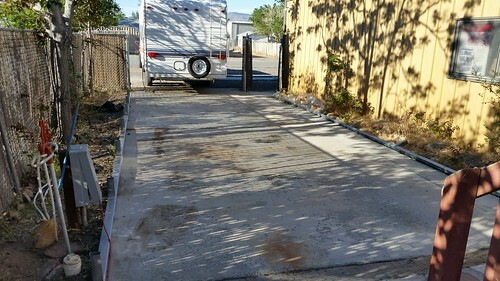 After pulling the travel trailer off the concrete pad, we cleared away debris to make room to do the assembly work. You need a lot of clear area to work with these things. 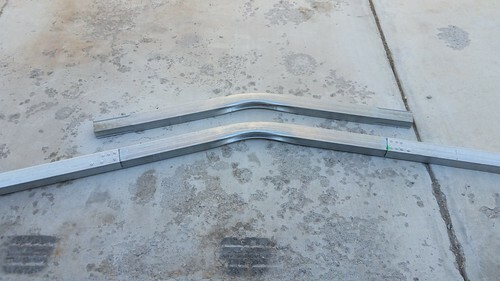 There is a peak piece (shown on its own at the top of the photo above) onto which straight pieces fit on each side (lower). Lisa then drove the self-tapping screws into the assembly to secure the pieces. 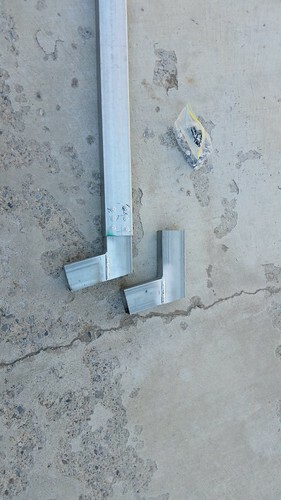 L-brackets attach to the other end of the straight pieces. Stacking them on top of each other as you go along helps you keep the pieces all the same size. It takes a lot of screws. We went through hundreds of them. But of course you want the joins to be nice and solid, with plenty of redundancy. 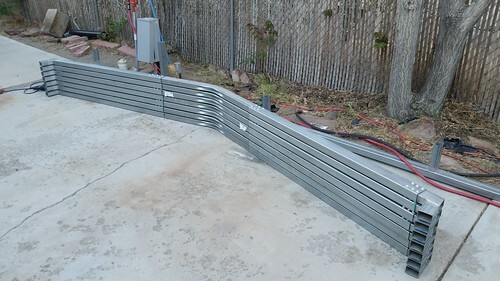 Next: Time to start pouring concrete and leaning about how to use a hammer drill as we secure the base rails.